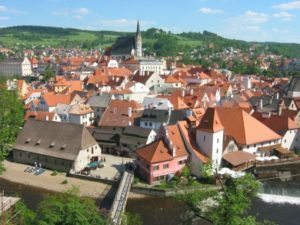 In addition to the castle, Český Krumlov offers other cultural valuables, such as a revolving auditorium, wax museum, and the Egon Schiele Art Centre. The town of Český Krumlov was included in the UNESCO´s List of World Cultural and Natural Heritage. 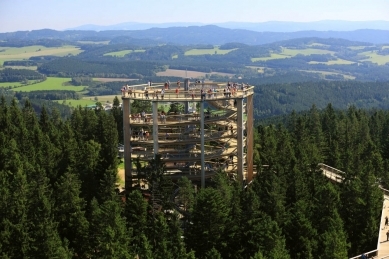 Offering an incredible view of the Šumava Mountains, educative and interactive stops, great adrenalin sports entertainment for children and the longest dry toboggan in the Czech Republic, all this and much more can be found in Lipno – The Lipno Treetop Walkway – a unique attraction in the whole country. The treetop walkway welcomed its first visitors on the 10th July 2012. 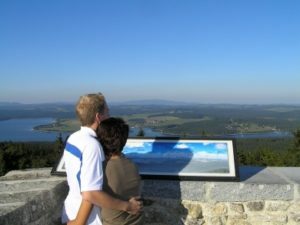 The view of the Lipno lake, the surrounding unspoilt nature and even the mountain tops of the Austrian Alps on a clear day will be your reward once you have climbed the steep winding footbridge. 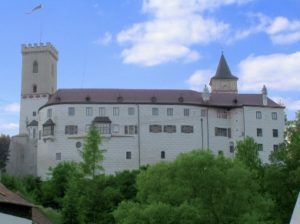 With haunted battlement and various turrets is located above the Vltava river, near České Budějovice. 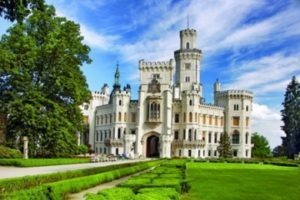 There is a ZOO near the castle, which is especially attractive for children. The biggest Šumava technical monument. It begins near a memorial, on the Rosenauer tank, which unfortunately has a broken dam today. It falls in the Große Mühl river in Austria and thus connects the river basins of Vltava and Danube. The length of the very canal is 44 km. It is supplied from 27 streams, 3 tanks and Plešné jezero. 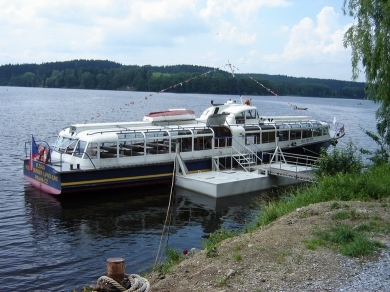 Cruisers leave harbours in Lipno nad Vltavou and Frymburk; a landing stage is located 300 m from our guesthouse. If you take a short or long cruise, you can hear much interesting information about the lake and its specialties. In July and August, you can order evening cruises with music and dance. 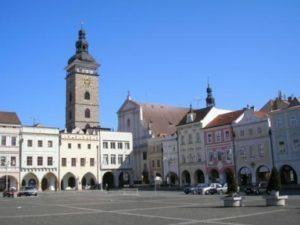 runs regularly in July and August from the Černá v Pošumaví stop, and then through Horní Planá, Nová Pec, Černý Kříž to Nové Údolí. 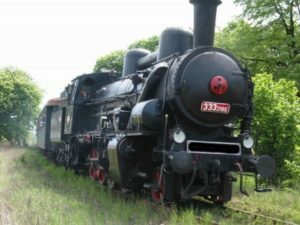 The train runs from Friday 5 July, each Saturday and Sunday, till Saturday 1 September. Departure from Stožec at 11.20 am; departure from Černá v Pošumaví at 3.40 pm. Tickets can be bought from the train operators directly in the railway station in Horní Planá. 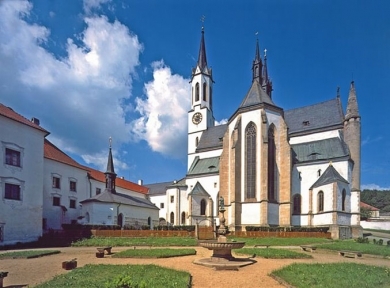 One of the most beautiful cloisters in the Czech Republic was built by Přemysl Otakar II in the Vltava valley. Currently, Zlatá Koruna is a protected national monument. Among other things, you can find here a cloister garth bordered with a cloister, minster, refectory or capitulary hall. 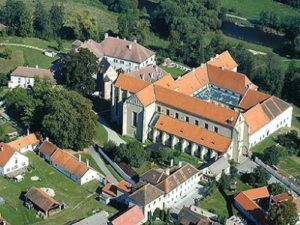 In the cloister, you can visit the exhibition of literature in Southern Bohemia. All the year, you can visit a research room – division of manuscripts and rare books. lies on the slope of Plechý mountain ( 1,378 m), 1,089 m above sea level, approx. 17 km southwards from Volary. It has a glacial origin. A monument to the memory of the writer Adalbert Stifter stands on the cliff above the lake. The sea of stones with huge granite boulders can be found near the northern edge of the lake. In spring, summer and autumn, the Lipno region offers the network of marked tourist paths in the protected landscape area of Šumava for lovers of hiking and beautiful countryside. Mushrooming and visits to natural monuments belong to the most popular activities. 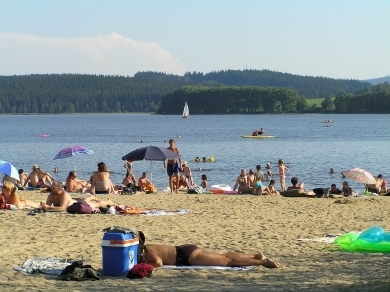 For cycling, the Lipno region offers very favourable conditions. Many marked cycling tracks and tourist paths will lead you to the best sights and monuments in the area. 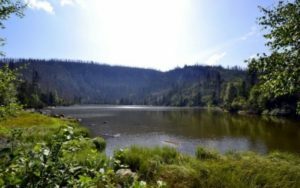 A wonderful river meandering through the Šumava forests. All along the river, there are camps and tens of restaurants and snack-bars. View of Český Krumlov from the river surface is a unique experience. The starting point for rafting is either Soumarský most in the upper part of the river, or Vyšší Brod just below Lipno. 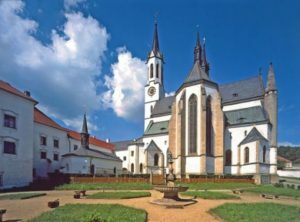 Is located in the picturesque valley of Vltava, 10 km from the borderline with Austria, and 25 km from Český Krumlov. 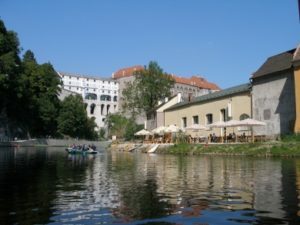 Unviolated countryside, beautiful passage of the course of river Vltava, and the historical background of the municipality are big attractions for tourists all over the world. Natural Park Dolní Jílovice, with remains of beech-fir natural forest, is located nearby. In the summer months, this tourist centre offers the Aquaworld – a pool with a sauna. In the town, there is a rental and shop with sports equipment – bicycles, surfboards, pedal boats, rowing boats and other equipment for water sports. In the winter months, the ski resort Kramolín is opened. A car park is located at a cableway; day and night skiing, 5 downhill runs, 5 ski lifts, maintained cross-country ski tracks. 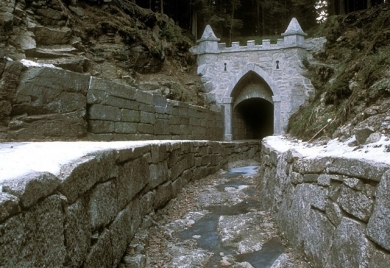 Children can visit bobsleigh tracks at Lipno, and Foxpark – they will certainly not get bored there.